Anarchy and the Law assembles for the first time in one volume the most important classic and contemporary studies exploring and debating non-state legal and political systems, especially involving the tradition of natural law and private contracts. Should markets and contracts provide law, and can the rule of law itself be understood as a private institution? Are the state and its police powers benign societal forces, or are they a system of conquest, authoritarianism, occupation, and exploitation? From the early works of Gustave de Molinari, Edmund Burke, Voltairine de Cleyre, Benjamin Tucker, David Lipscomb, and Lysander Spooner to the contemporary thinking of Murray Rothbard, David Friedman, Anthony De Jasay and Bruce Benson, Anarchy and the Law features the key studies exploring and debating the efficacy of individual choice and markets versus the shortfalls of coercive government power and bureaucracy. In so doing, the book also features debates involving Roderick Longs argument against a nationalized military and Robert Nozicks critique of stateless legal systems, as well as the work of such scholars as Nobel Laureate economist Douglass North, Tyler Cowen, Robert Ellickson, Randall Holcombe, Randy Barnett, Barry Weingast, Terry Anderson, Andrew Rutten, Jeffrey Rogers Hummel, and others. Whereas liberals and conservatives argue in favor of political constraints, Anarchy and the Law examines whether to check against abuse, government power must be replaced by a social order of self-government based on contracts. Is the coercive State necessary? Private-property anarchism is a political philosophy of non-state legal systems (self government based on private contracts and natural law) and a set of economic arguments that says that just as markets and private contracts provide bread, so too should they provide law, security, and other services commonly viewed as the province of the State. Security would be provided privately as it is at colleges, shopping malls, hotels, and housing complexes, and courts would be provided privately, as they are with arbitration and mediation today. Although non-state legal systems are discussed in prestigious academic journals, the classic texts on the subject are scattered about in several books and hard-to-find journals, making it dificult to study this provocative idea in much scholarly detail. 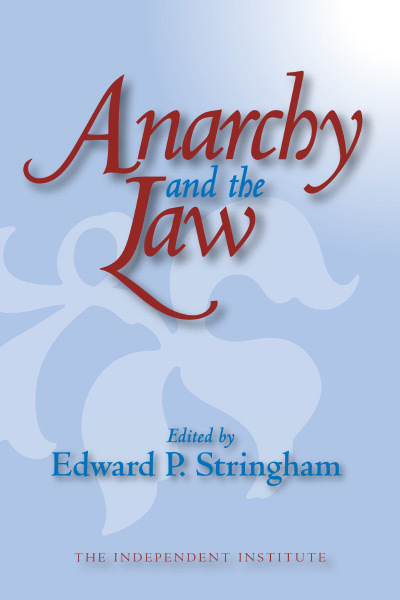 Anarchy and the Law: The Political Economy of Choice, edited by Edward P. Stringham, remedies this deficiency by assembling many of the major studies that explain and debate the theory and practice of law and order under a rule of law without a State. How would society function without a State to provide courts and police? The books first section shows how some seminal texts of the modern era have addressed the question. Chapter 2, drawn from Murray Rothbards For a New Liberty (1973), argues that disputes would be settled by competing protection agencies, whose customers would hold them accountable to respect individual rights. Chapter 3, drawn from David Friedmans The Machinery of Freedom, 2nd ed. (1989), argues that under a market for law, people would be free to choose any rules they wish, and the resulting outcomes would be determined by net willingness to pay; although multiple police agencies might operate in different areas, each would have incentives to settle disputes through bargaining rather than violence. Chapter 4, which excerpts Morris and Linda Tannehills The Market for Liberty (1972), also argues that multiple defense agencies could produce order in the same geographic area, but it depicts this scenario in a more visionary style. How would security be handled under a non-state legal system? In chapter 5, Randy Barnett explains that private ownership of the streets would help reduce street crime. He also shows how competing police agencies might deal with unfair renegade enforcers of the law. In chapter 6, Hans-Hermann Hoppe refutes the technical argument that police and courts are public goods that can be provided only collectively. The problem of international conﬂict and security under private-property anarchy is examined in chapter 7, by Jeffrey Rogers Hummel and Don Lavoie, who discuss the free-rider problem as it relates to national security, and in chapter 8, by Roderick Long. In chapter 9, John Hasnas emphasizes that under non-state legal systems, law would evolve in unpredictable ways, and therefore attempting to create a detailed blueprint of how all major problems would be solved by the market is futile or counterproductive. Robert Nozick challenged non-state legal systems in Anarchy, State, and Utopia (1974), excerpted in chapter 10. A dominant protection agency, he argues, would be justified in excluding competitors that posed risks to its customers. Chapters 11 and 12 contain rebuttals by Roy Childs and Murray Rothbard, respectively. Childs argues that in the name of reducing risk, Nozick rationalizes the riskiest agency of all: monopoly government. Rothbard argues that Nozick fails to morally justify both monopoly government and the over-arching goal of risk reduction. Ayn Rand argued, in 1964, that competing protection agencies would lapse into lawlessness and gang warfare, and that a just government is needed to ensure that individual rights are protected with objective laws that are properly enforced. In chapter 13, Roy Childs challenges Rand, arguing that although people should abide by objective laws, a government monopoly itself violates objective natural laws and isnt necessary to create or enforce them. In chapter 14, Alfred Cuzan argues that creating a government monopoly on the use of force merely replaces one form of anarchic relations with another. Some critics argue that private-property anarchism is futile because government is inevitable. In chapter 15, Tyler Cowen argues that competing courts would devolve into coercive government due to network effects. Law enforcement firms would be highly dependent on each other, and the same mechanism that would enable them to settle disputes cooperatively would also enable them to collude, resulting in a de facto monopoly on force that could extract taxes just like a government. Chapters 1619 consist of replies by David Friedman, Bryan Caplan, Edward Stringham, and rejoinders by Cowen and Daniel Sutter. Anthony de Jasay argues in chapter 20 that although many social conﬂicts would still exist in a stateless society, individuals would have incentives to internalize some of the negative externalities that would result from conﬂict. Also, repeated dealings with others would create incentives for one to establish a reputation as cooperative. Andrew Rutten replies to de Jasay in chapter 21, arguing that anarchists, like governments, also have incentives to abuse power and expropriate property. Randall Holcombe, in chapter 22, argues that stateless societies would either devolve into a system of government or be overtaken by force, and thus we should grudgingly accept the State and think of ways to limit its power. In chapter 23, Peter Leeson and Edward Stringham argue that if Holcombes assumptions are correct, nothing can be done to limit the growth of government power; and if a truly limited government is possible, as Holcombe suggests, then so too is an orderly and sustainable non-state legal system. Private-property anarchism has its origins in classical liberalism, which stressed the importance of private-property rights and the need to constrain the state, explains David Hart in chapter 24. Conservative icon Edmund Burke presaged future non-state thought in an anonymous letter, published in 1757, denouncing government in all its forms (chapter 25). But private-property anarchism (legal systems without the state) wasnt articulated fully until the Belgian economist Gustave de Molinari wrote The Production of Security in 1847 (chapter 26). In chapter 27, Murray Rothbard discusses colonial-era anti-statists, such as Anne Hutchinson, who founded voluntary communities in New England, and the Quakers that protested William Penns attempt to impose taxes. Individualist anarchist writings from 19th-century America are represented in chapters 2832. Freethinker and feminist Voltairine de Cleyre argues that individualist anarchists had much in common with the American revolutionaries. Tennessee Christian clergyman David Lipscomb argues that government is founded upon force and therefore should be boycotted. Lawyer and political theorist Lysander Spooner argues that the U.S. Constitution can have no authority over those who were not alive to sign itand that juries should be allowed to decide whether a law is legitimate. And publisher Benjamin Tucker argues that people will be better off cooperating without government and that if one opposes the initiation of force, one must oppose the state in all its forms. David Osterfeld helpfully delineates the many varieties of anarchism and anti-statism in chapter 33. How have systems of non-governmental law enforcement actually functioned? In medieval England, where private parties solved disputes, punishment usually took the form of restitution for the injured party, explains Bruce Benson in chapter 34. By the time of the Norman Conquest, however, the king had declared that all restitution payments must go to the crownwhich eliminated the incentive for private law enforcement and created the need for public law enforcement. In medieval Ireland, private juries settled disputes, and restitution rather than retribution was sought, explains Joseph Peden in chapter 35. In chapter 36, David Friedman describes medieval Icelands system of competing law enforcement, which lasted 300 years. People could choose which law-enforcement bodies to join and could switch at will, victims could transfer their right of compensation to a party more likely to collect the fine, and the systems incentives worked to reduce conﬂict. Europes medieval merchants often relied on private courtsthe Law Merchantto settle disputes because civil law couldnt keep up with their growing needs. Merchants who refused to abide by those courts were blacklisted. In chapter 37, Paul Milgrom, Douglass North, and Barry Weingast present a formal game-theory model to show how that systems incentives fostered cooperation. Voluntary, non-government law enforcement can also be found in primitive societies. In chapter 38, Bruce Benson describes the voluntary customary legal system of the Kapauku Papuans of West New Guinea. It too is based on reciprocity, reputation, restitution, and a respect for individual property rights. Terry Anderson and P. J. Hill describe non-governmental dispute resolution on the frontier of the American West in chapter 39. Land clubs helped establish property rights, cattlemens associations helped enforce them on the open range, mining camps settled mining claims, and wagon trains dealt with enforcement issues once people traveled beyond federal jurisdiction. In chapter 40, Robert Ellickson describes property-rights enforcement between ranchers and farmers in contemporary Shasta County, California. Rather than follow what the law stipulates, they rely on notions of what they consider right, which often differs significantly from the law. "The illusion of security is the crux of the rationale of statism. Anarchism has the burden of convincing people that stateless law and order are not just possible, but superior, due to the state's proclivity towards legal excess. Anarchy and the Law is a landmark book in bringing together the various strands of non-state legal thought, including works that are already of historic importance. The advocate of self-government who seeks to convince others of the non-necessity of states can now say: go and read this book! The pro-state reader will also benefit from the challenge posed by stateless thought at its best." "There is little to fear from the strong criticism but much to fear from the weak defense. Anarchy and the Law is an excellent book providing a strong defense for market-provided law. 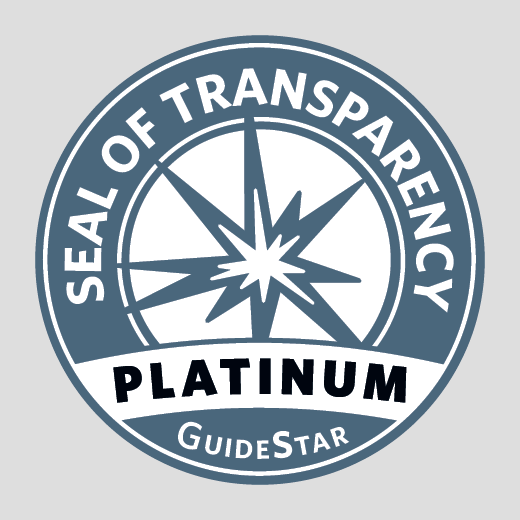 The verdict is in, and proponents of state legal systems have much work to do defending their position." Edward P. Stringham is a Research Fellow at The Independent Institute, the Lloyd V. Hackley Endowed Chair for Capitalism and Free Enterprise Studies at Fayetteville State University, and past President of the Association of Private Enterprise Education.